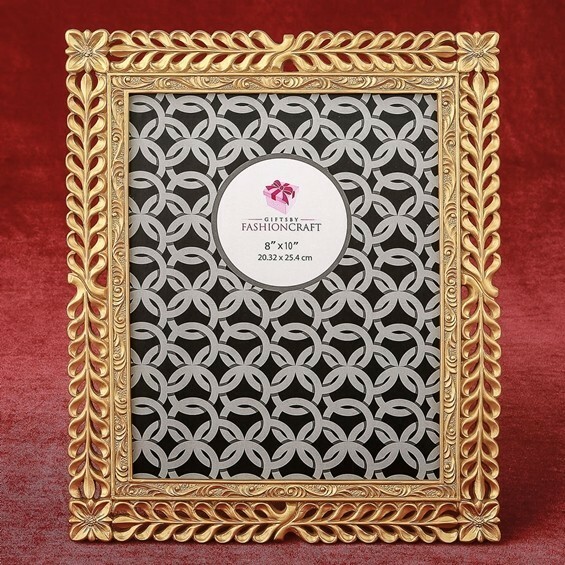 This magnificent poly-resin frame doubles as a table number holder, features an ornate lattice work design and is hand-painted in a rich gold finish. The frame holds a standard 5 x 7 photo and may be displayed vertically or horizontally. It has a velvet easel backing.